Welcome to Quality Charts download section. You are able to download desktop or mobile platforms software here used for creating charts without uploading data to web. 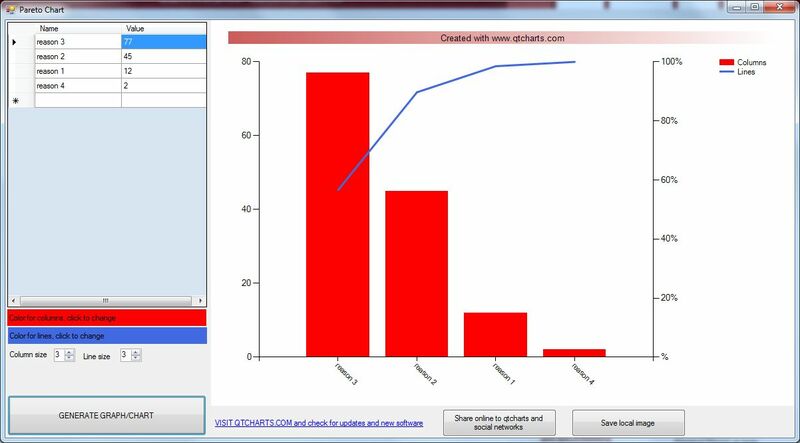 Quality charts you can create on web is also 'easy to create' using our platform independent software. From now on, create your charts (Pareto, Scatter-plot, histogram etc) using our free software. No hidden charges, free as everything you got from your QT team till now!! please be patient, we're still building this part of site. Get back soon to download QT-Desktop and QT-Mobile edition software.